Two men have been released on bail after allegedly throwing fists and swearing during an execution in Texas. Billie Wayne Coble, 70, was put to death by lethal injection nearly 30 years after murdering his wife’s parents and brother. His son and grandson, Gordon Wayne and Dalton, allegedly became violent witnessing his death and were arrested after swearing and lashing out. The pair were later released on bail of $1,000 (£755). Gordon Wayne Coble’s wife also allegedly caused a disturbance but was not charged. 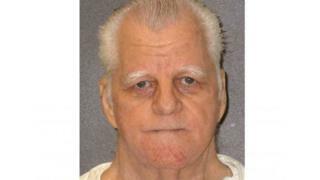 Billie Wayne Coble is the oldest inmate executed in Texas since the state resumed capital punishment in 1982. The Vietnam War veteran was convicted in 1989 of killing Robert and Zelda Vicha and their son Bobby. Coble had previously kidnapped his then-wife, Karen Vicha, apparently distraught over their pending divorce. He was released on bail before killing her family members nine days later. At his execution, his son and grandson allegedly began swearing and kicking other people in the witness room, with Gordon Wayne allegedly pounding on the window of the chamber. Officers intervened and took them outside where they were charged with resisting arrest and disorderly conduct. Coble was once described by a prosecutor as having “a heart full of scorpions”.